Easter is one of my favorite times of the year. I love celebrating Jesus and His resurrected life. I appreciate how—symbolic of Jesus’ rebirth—the whole earth breaks forth in life, budding fresh and new from a frozen world stripped bare. Easter gives us an opportunity to pause and reflect on the life of Christ. I love making Easter baskets for my children each year. Yes, I do add in candy and small personalized gifts, but the focus of each gift basket is a special book or video for my kids. John and I love giving Bibles or wonderful Christian books. This year I’ll be buying Easter baskets for both my children and grandchildren. 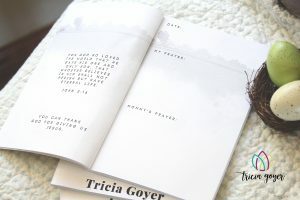 Practicing a life long fellowship with the Lord through prayer is something I hope to foster in my children and grandchildren that’s why I created the Mommy & Me Prayer Journal series! These keepsake journals are for little kids to write their prayers … or draw them! 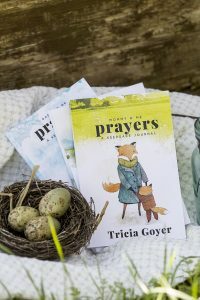 There is also a place for Mom, Dads, or someone special to add their prayers, too. It makes a lovely Easter basket gift, one that will be treasured for years to come. It’s available HERE on Amazon. 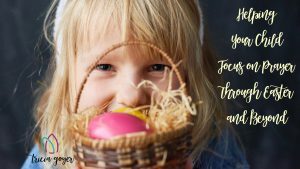 No matter how you fill your child’s Easter basket, I pray that your home is full of the life of Christ and the celebration of his resurrection!